I'm a farmer, traveller, home cook, food writer and activist. I have written 15 cook books – two in English for the American market – and have worked as a columnist for the Washington Post, where I wrote about the science of everyday cooking. 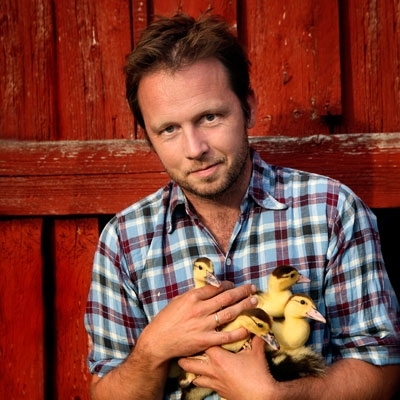 I've hosted ten seasons of the TV show “New Scandinavian Cooking” on PBS on BBC Lifestyle. I believe that food gives pleasure and meaning, and is a basic right. At Geitmyra Culinary Centre for Children, I teach kids where food comes from, and how to cook. I split my time between a historic farm in Oslo, my family farm in Southern Norway, and a farm near Cape Town.